Porsche junior Michael Christensen was named Wednesday as the manufacturer’s newest factory driver for 2014. The 23-year-old Dane, who took part in this year’s Porsche Supercup, along with one-offs in the Rolex 24 at Daytona and Petit Le Mans, joins the growing list of works drivers. 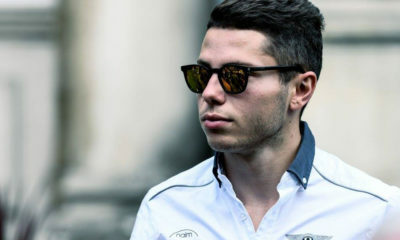 Christensen began his relationship with Porsche in 2011 when he took part in the manufacturer’s youth development selection program. From there, he graduated to Porsche Carrera Cup Germany before moving into Supercup competition. Christensen officially becomes the 13th Porsche factory driver, although four of the drivers: Romain Dumas, Timo Bernhard, Neel Jani and Mark Webber, are expected to focus exclusively on the manufacturer’s LMP1 program. Porsche has yet to confirm a return to the FIA World Endurance Championship in GTE-Pro, although they will be on the grid in the TUDOR United SportsCar Championship with a factory two-car squad run by CORE autosport.